Philanthropy and fundraising are critical elements in the mission of our organization. 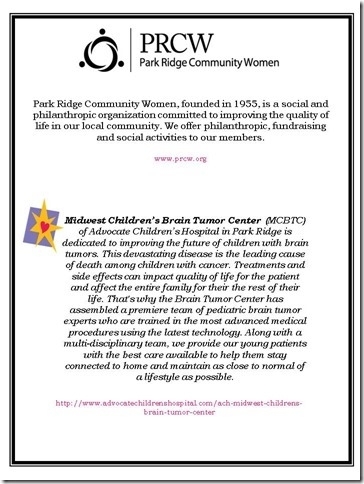 Park Ridge Community Women support local community organizations and charities throughout the year. We offer volunteer activities for our members and their families, and we regularly raise funds for charities selected by our members. PRCW welcomes suggestions for volunteer activities or charitable causes to support. Please email us with your suggestion. Make sure to read the latest newsletter for upcoming philanthropy activities. Look for photos from recent volunteer activities on our Photo Gallery page. Thank you to all - kids and parents - who helped or donated lunch supplies to make lunches for those in need. We packed 100 lunches for Uncle Pete's Ministry, which gave them to a homeless women's shelter, a homeless veterans program and two needy families. Special thanks to Marlene Artetal for hosting! For more about "Uncle Pete" please visit this website to learn about its mission and past lunch recipients. $500 was sent to The Kasiyan Family, a Roosevelt/Lincoln family who recently lost their father. Thank you to all - kids and parents - who helped or donated lunch supplies to make lunches for those in need. We packed 100 lunches for Uncle Pete's Ministry, which gave them to a homeless women's shelter, a homeless veterans program and two needy families. Special thanks to Bonnie Rajchel for hosting! For more about "Uncle Pete" please visit this website to learn about its mission and past lunch recipients. Thank you to all who sorted books at Bernie's Book Bank, an organization that aims to increase book ownership among at-risk children in the greater Chicago area. For more information about the organization, please visit Bernie's Book Bank. he Feed My Starving Children location in Schaumburg. Park Ridge Community Women co-sponsored the Park Ridge Public Library's Preschool and Enrichment Fair. In attendance were an estimated 250 parents, children and representatives from more than 20 area preschools, day care facilities, and enrichment programs (e.g., museums, dance studios). At the August Margarita Party, we learned about the activities of the Special Gifts Theatre, a program for children, teens and adults with special needs providing a unique, creative drama experience to enable personal growth while breaking down stereotypes related to disabilities within the community at large. A portion of the proceeds from our raffle at the August meeting was earmarked for the SGT. It was a beautiful night for a concert in Hodges Park as PRCW raised over $4,000 for the Park Ridge Fine Arts Society's free Concerts in the Park. Thank you to all the generous businesses and PRCW members who donated to the gift baskets. Please show your support by shopping and dining at these wonderful local establishments. 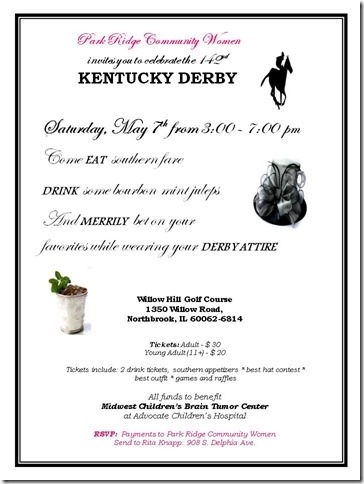 PRCW members and guests enjoyed delicious Southern snacks and mint juleps while celebrating the 142nd Kentucky Derby in a charitable event benefiting the Midwest Children's Brain Tumor Center at Advocate Children's Hospital at the Willow North Golf Course in Northbrook. PRCW would like to thank the following businesses for their wonderful donations to our Derby Day charitable event. Please support these generous businesses! PRCW collected donations of supplies for PAWS, a no-kill animal shelter in Chicago, at the February and March meetings. Thank you to all who donated towels, toys, food and other desired supplies! PRCW was a co-sponsor again for the Park Ridge Public Library's Preschool and Enrichment Fair. Over 200 participants attended to learn about the more than 25 area preschools, day care facilities, and enrichment programs (e.g., museums, dance studios). PRCW members, kids and spouses packed meals for malnourished children at Feed My Starving Children in Schaumburg. A group of Park Ridge Community Women members attended a fundraiser at Zanie's at MB Financial Park in Rosemont to support the Park Ridge Community Fund. PRCW members, kids and spouse made 100 sack lunches for the needy. Thanks to Molly L. for hosting! We had a gorgeous day on September 20th to clean a Park Ridge street! A dozen PRCW members, spouses and kids cleaned the west side of Riverside Drive from Touhy to Oakton. After two hours of fun and five garbage bags of trash, the road looked beautiful! Members thought it was an enjoyable and rewarding way to clean up our community. Thank you to all who helped make Park Ridge a little cleaner! The Annual PRCW Fundraiser for PRFAS was a HUGH SUCCESS! We BROKE last year's RECORD raising more than $3100 to support the Concert in the Park Series. PRCW and PRFAS would like to extend a BIG THANKS to the many generous donors and volunteers who participated in making this evening a success. 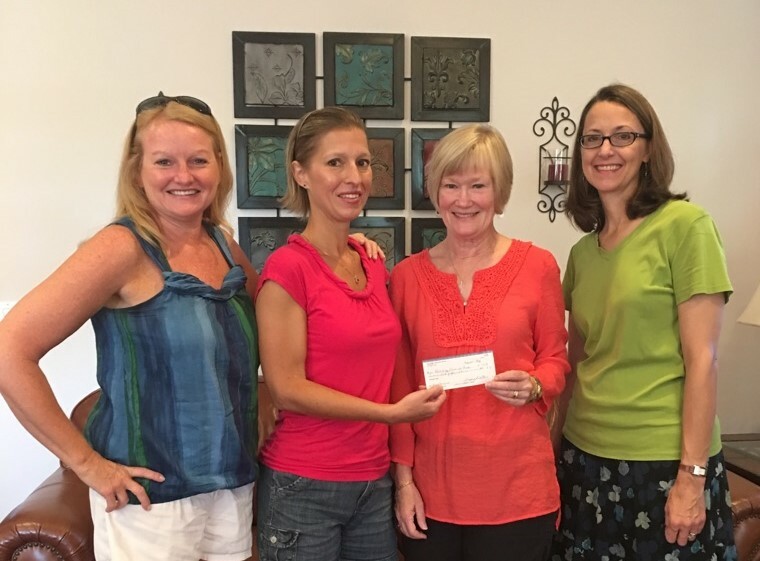 Park Ridge Community Women made disbursements to two worthy causes in 2015. One donation went to the Midwest Children's Brain Tumor Center of Advocate Children's Hospital for its Family Support program, which provides services to pediatric cancer and brain tumor patients and families. The second disbursement funded ongoing support to the Britt family, our 2014 fundraiser recipients. Our 2014 fundraiser was held Saturday, October 25 at The Dirty Martini Lounge (formerly The Snuggery) with proceeds benefiting the Britts, a local family affected by ALS. PRCW, Michael and Randee Britt, and friends had a great Nightmare on Olmsted with many supporters showed up in costume, including Hooters waitresses, drugstore items, cowboys, Miss America, BeetleJuice, Minnie Mouse, Scooby Doo and even Marilyn Monroe! We raised over $15,000 for the Britt Family. One hundred guests attended, including PRCW members and guests and Britt Family friends and neighbors. PRCW and the Britt Family would like extend their heartfelt thanks and acknowledge the generosity of attendees, local businesses, the Maine South High School community, and PRCW members in underwriting or donating to the fundraiser. Thank you to everyone who participated to make this evening a success. 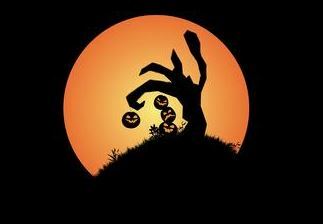 Check out the photo gallery to see the fun! PRCW's Nightmare on Olmsted Street fundraiser raised over $4,500 to support the brain aneurysm research of Dr. Bernard R. Bendok at Northwestern Memorial Foundation. Thank you to all who attended or donated!